When the reclusive actor known as “The Man of a Thousand Faces,” aka “The Man of Mystery,” grants an interview about his latest film, chances are that he’s considerably invested in it. 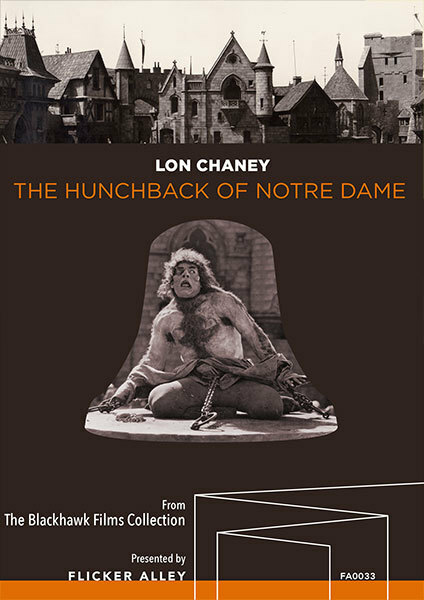 So it was that when Lon Chaney (1883–1930) arrived in New York City in September 1923 for the Grand Premiere of The Hunchback of Notre Dame he agreed to be interviewed by Movie Weekly magazine. No ghostwritten articles with his name added for the byline. This interview was the real McCoy. However, Hunchback was different. It was planned as an expensive film from the beginning to showcase Universal’s goal of getting its productions booked into more theaters. In those days, major studios owned theater chains to ensure that their products played on as many screens as possible, thereby maximizing earnings. This practice was the financial backbone of the studio system that would be collectively called “The Golden Age of Hollywood.” It ended in the late 1940s when the U.S. Supreme Court decided that studios owning movie theaters had a monopoly and their business would never be the same. Universal’s problem in 1923 was that it didn’t own any theaters so its films had to be popular on their own merits. Thalberg eyed Hunchback as just the production his studio needed to make the leap into the big leagues, but the film wasn’t his idea. 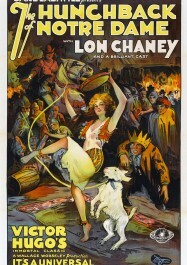 It was Lon Chaney’s. 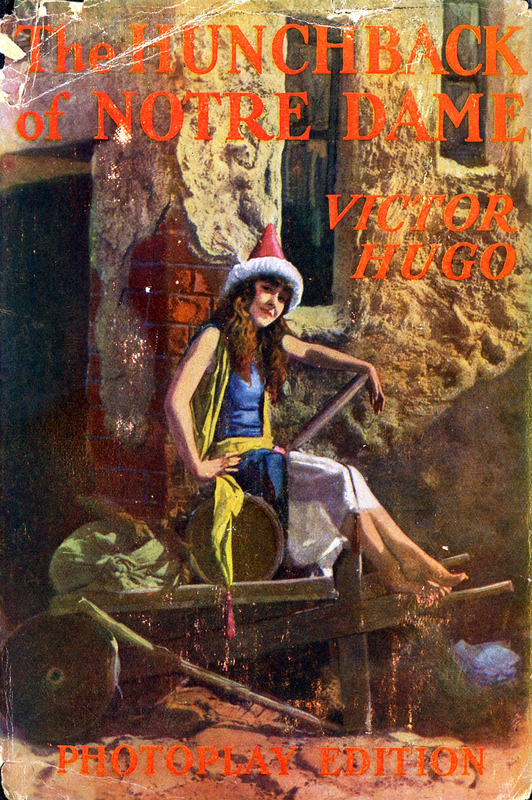 Dust jacket from the Victor Hugo novel, colorized by Robert M. Fells. 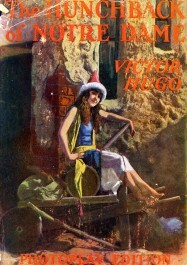 Filming began in December 1922 and didn’t wrap until June 1923. Night filming during the winter months of ’23, even in southern California, was particularly arduous but the money really shows on the screen. Even accounting for studio hyperbole the statistics are impressive: 2,000 extras, 200 costume makers, 230 electricians, seven generators, five miles of cable, and 700 big lights for the night scenes. Innovation was also present in that a public address system was used for the first time in filmmaking to communicate with the crowds. Although the Notre Dame Cathedral appears to be a full-scale structure, only the first floor facade was built. The rest of the building was a painted matte ingeniously held between the camera and the structure to create the illusion. 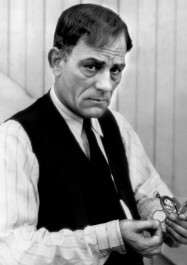 Lon Chaney’s makeup was the talk of the film reviewers. Some felt that his Quasimodo was too grotesque but Lon faithfully followed Hugo’s description of the character. 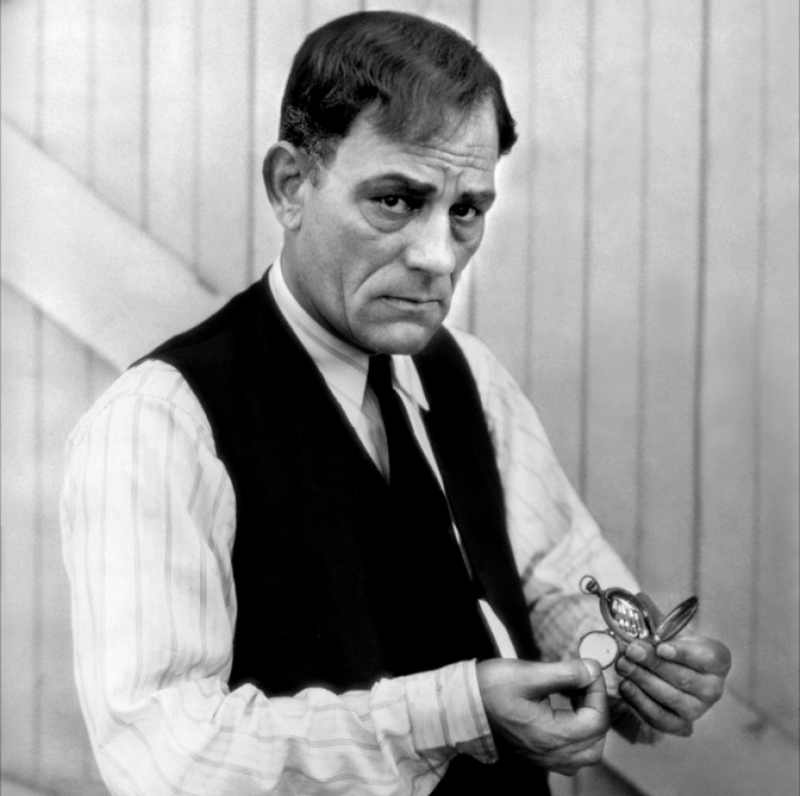 Claims would be made through the years that Chaney wore a 70-pound rubber hump but in fact he designed a plaster one that weighed at most 20 pounds. More serious, the putty and appliances he wore on and over his eyes damaged his vision and off-screen he had to wear glasses for the rest of his life. Some reviewers didn’t know what to make of the film. It seemed partly an historical melodrama with plenty of pageantry, and partly a horror film (though that term had not yet been coined). But the public enthusiastically supported the film with its blend of spectacle and gothic macabre. Unlike other “chillers” of the day, typically haunted house comedy-dramas, nothing was explained away at the end. 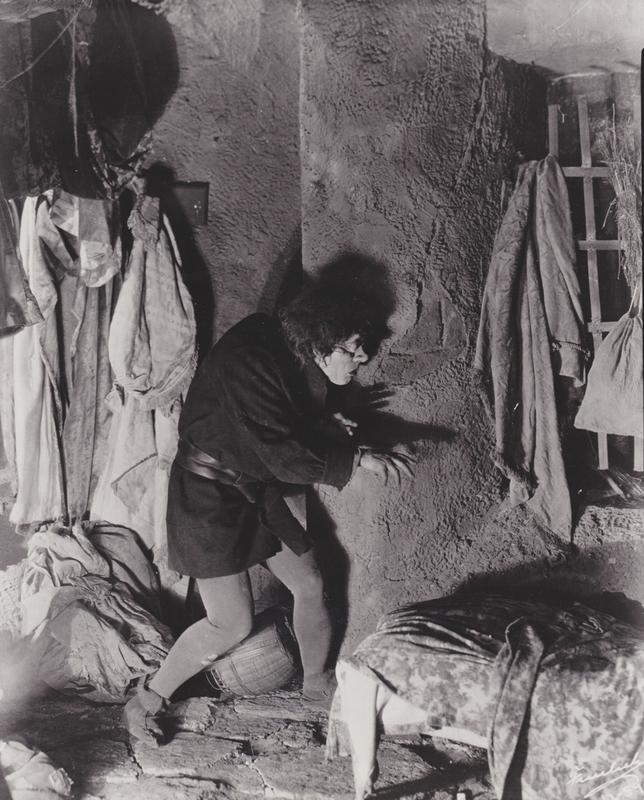 Quasimodo was just what he appeared to be, not somebody’s illusion or bad dream. Nobody knew it at the time, but the public’s embrace of the film’s themes paved the way for the Universal horror classics of only a few years later. On the set of The Hunchback of Notre Dame (1923). 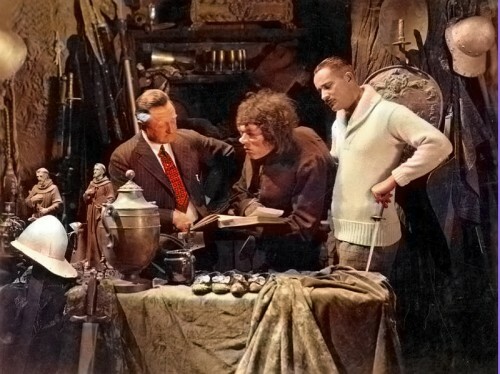 From left to right: Wallace Worsley (director), Lon Chaney (“Quasimodo”), and Norman Kerry (“Phoebus”). Photo colorized by Robert M. Fells. 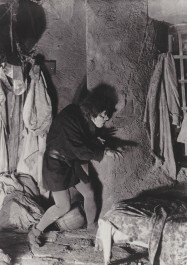 Even in 1923, the timing of the release of The Hunchback of Notre Dame near Halloween was probably no coincidence. It still thrills and chills and remains quite a show. 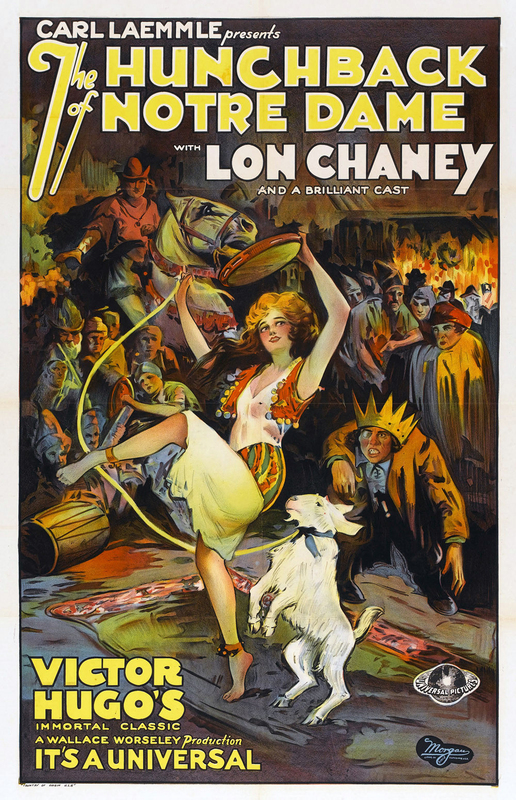 For more information on the making of this classic I can highly recommend any or all of the three Lon Chaney books authored by Michael F. Blake. Do you have your Halloween movie night planned? 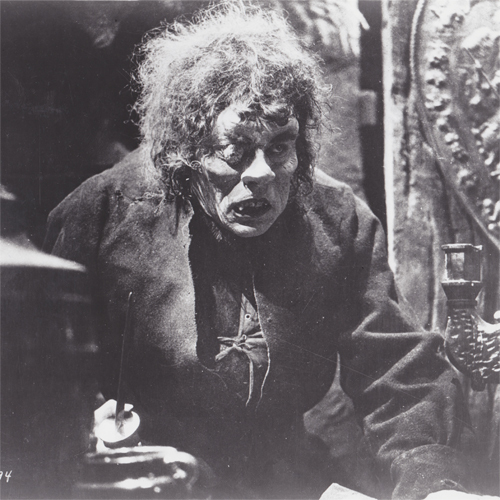 Order The Hunchback of Notre Dame (1923) on Blu-ray today, or stream the film online for just $4.95! Never miss a blog post! Sign up for our RSS feed using the form below to receive e-mail notifications of new blog posts!